Montreal’s terrace season is starting to wind down. Leaves are slowly oranging, and the infamous humidity that has been hanging in the air over the past couple of months is starting to crisp up. The encroaching post add-drop lethargy is hanging over students, and they may be starting looking for the perfect soundtrack to accompany the upcoming gloomy fall days. Thankfully, Mitski’s new album can provide an end to that search. 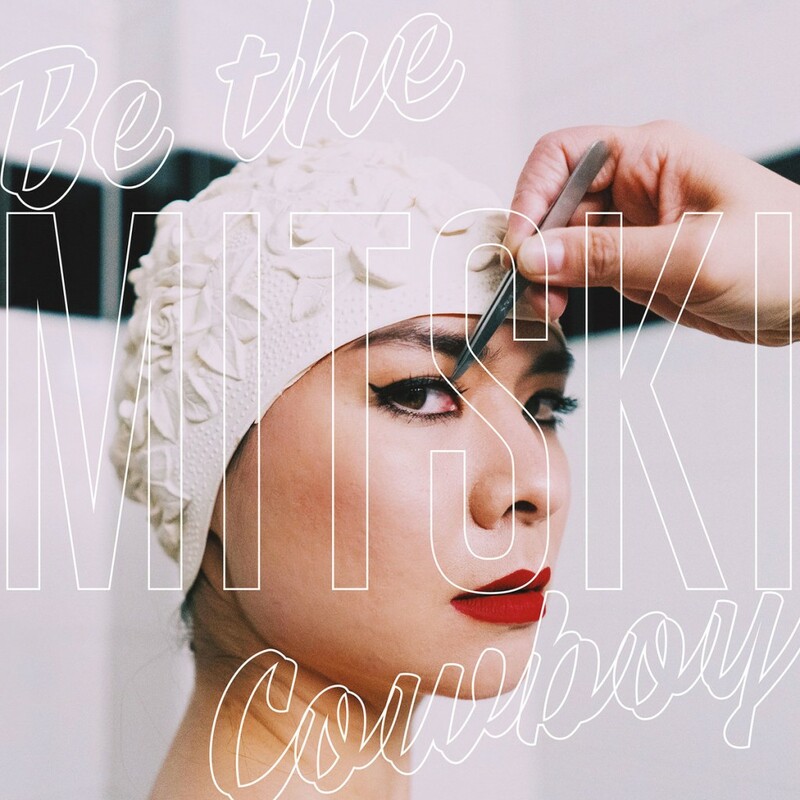 Be the Cowboy is the Japanese-American artist’s 5th studio album, and is truly a gem sent down from the bedroom pop gods. Tying together atmospheric lyrics with relatively grungy rock guitar riffs, the soon-to-be 29 year old has been hailed as “the new vanguard of indie rock” and this new album —released August 17th— lives solidly up to this reputation, however it is at its core a very standard sounding indie album. The standout songs are, obviously, incredible. The opening track, “Geyser” is, in my opinion, one of the strongest songs on the entire album. It establishes itself with a haunting synth that slowly builds up to a climax about 1 minute and 20 seconds in. The atmosphere of the song creates a feeling of bright optimism. This atmosphere is complemented amazingly in the closing track “Two Slow Dancers”, a song that not only saved the album for me, but also gave me a glimpse at what I wanted the album so badly to be. The song is contemplative, nostalgic, and just as lyrically and sonically powerful as the opener. Everything in between these two are all —lyrically speaking— cookie cutter indie songs. Tracks such as “Old Friend”, “Nobody”, and “Blue Light” could easily have been left off the album and it would have no significant effect on the listener’s experience. The songs that stood out the most were the ones with actual unique qualities. “Remember My Name” and “A Horse Named Cold Water” are both incredible examples of this diversity; the former embodying the same college band feeling as the Scott Pilgrim soundtrack and the latter, opposingly, showcases stripped down vocals over a few piano chords. Even “Me and My Husband” (far from my favourite song on the album) is a jarring shift from the songs it sits between, adopting a noticeably more 2011 mainstream indie pop sound. In spite of these qualms, Be the Cowboy is unquestionably a good album. All the songs blend together beautifully, and its length of 32 minutes makes it the perfect soundtrack to your fall semester study sessions to help ease you into the fast approaching midterm season and even faster approaching winter. This entry was posted in Reviews and tagged album review, Madison Palmer, Mitski on September 26, 2018 by librarian. “Happy” initiates the discordant theme of Mitski Miyawaki’s recent release Puberty 2, telling a story where happiness takes the form of a man, comes to the singer with cookies and tea, uses her, and leaves while she is in the bathroom, leaving her with empty cups and wrappers to clean up. This abrasive introduction shows the artist’s certainty of the fleeting nature of happiness that she explored in previous albums with more reservation. Rather than taking a conflicting perspective, she emphasizes the inevitability of sadness that follows waves of happiness, hitting harder than the initial positive feeling. Her pithy lyrics and juxtaposition of choppy and ethereal rhythms make for a frictional tone as the artist comes to terms with her decided reality. In a nutshell, this album nuances Mitski’s comment that “happiness fucks you”. Mitski and Patrick Hyland, who also produced the album, recorded every instrument from the resounding melodic saxophone to the industrial beats of electric drums. There is decisiveness in the rhythms of Puberty 2; the instrumentals lining up perfectly in accord with the message Mitski sends lyrically. From the tense, incessant electric drumbeat in Happy to the steady, pressing drums and bass in Fireworks, Mitski’s voice is dynamic, haunting one moment and wistful the next. An almost uncanny emotional potency ties the album together as Mitski unpacks her longing for happiness in personal stories woven throughout her lyrics, coinciding and highlighted by instrumental complexities. “Once More to See You,” “ I Bet on the Losing Dogs” and “Thursday’s Girl” are delicate, melancholy ballads built up from ethereal vocals, steady synth, and distant reverberant guitar. Mitski’s voice is soft yet resonating, evoking dreamy 70s folk tunes of love and longing. “Once More to See You” addresses her longing for the happiness of a past romantic relationship. She seems to address the person she sees “in the rearview mirror,” pleading with them to be alone with her secretly. I’d argue that “A Loving Feeling,” a catchy, upbeat track appearing later on the album, responds to “Once More to See You” by harshly deconstructing the reality of the situation she longs for. Here she sings “what do you do with a loving feeling if they only love you when you’re all alone?” and details instances of concealed affection. With the lyrics of each song in dialogue with each other and the clarity of emotional evocations in Mitski’s instrumental choices, Puberty 2 communicates Mitski’s insight coherently and conclusively. My favorite tracks “Crack Baby” and “A Burning Hill” conclude the album. The instrumentals in “Crack Baby” are a testament to Mitski’s dynamic handling of discordant percussion, rhythmic melodies and an ultimately fascinating mixture of electronic and traditional sound. The longest track on the album, “Crack Baby” is initiated with a low-tempo percussion rhythm pattern and bellowing bass, with Mitski’s haunting vocals coming in on an up beat and following the steadiness of the bass echoes. This pattern obeys the evocative theme of the track where Mitski likens a longing for happiness to addiction, as both highs lead to inevitable lows. In “A Burning Hill”, Mitski asserts, “I think I’m finally worn,” evidently of the pattern of up and down. The artist seems to come to terms with this undulating emotional existence that comes with polar periods of happiness and sadness, ending on a self-reliant tone by describing herself as a fire, the forest it burns, and the witness of the spectacle. She withdraws, identifies herself as multiple forces, and ultimately abandons the person she was addressing in her pleas and confrontations in saying “you’re not there at all.” By dwelling and detailing moments of everyday life, she concludes, “ I’ll love some littler things,” perhaps suggesting the possibility of balance in a neutral presence. Though Puberty 2 essentially chewed me up and spit me out emotionally as I listened to it carefully and incessantly since its release June 17th, Mitski executed this album with stunning vocals and instrumentals that make it absolutely captivating. You will find no empty optimism in her lyrics, but rather will be forced to confront a reality with the rose-colored glasses removed. This entry was posted in Reviews and tagged album review, Erika Kindsfather, Feelings, Mitski on June 27, 2016 by CKUT Music Coordinator.